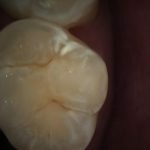 Posted May 12, 2017 by admin & filed under Cavities, General Dentistry, Teeth Care, Uncategorized. 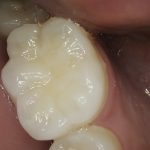 When patients come to me for their bi-annual cleaning, they’re usually a little worried and say something like “I hope you don’t find any cavities.” I don’t blame them. Nobody wants to have cavities, because it often involves the use of needles (delivering something to numb pain) and my handpiece with drilling attachment. Unfortunately, the only way to fix a cavity is by removing the damaged portion of the tooth. It’s like rust on a car – if left alone, the damage will continue to spread eventually destroying the tooth. Cavities are caused by tooth decay from plaque that that damages the tooth. Tooth decay happens when foods with carbohydrates like bread, cereal, milk, soda, fruit, cake, or candy stay on your teeth. The bacteria in your mouth turn these sugars into acids. Then the bacteria, acid, food debris, and your saliva combine to form plaque, which clings to the teeth. When the plaque stays on the tooth long enough, it affects both the outer coating of a tooth called enamel and the inner layer called dentin. The acids in plaque eventually dissolve the enamel, creating holes in the tooth called cavities. 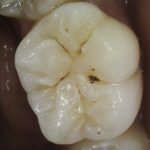 This is a cavity stain, it may not need to be treated. But should be monitored closely by your dentist. These are a mild and moderate cavity. These will probably need to have the affected areas of tooth removed, and replaced with a filling. 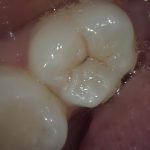 There are different filling types, but I use composites, which are tooth-colored (and not the silver-colored amalgams). The longevity of composites depends upon your oral health, they can easily last a decade or more. 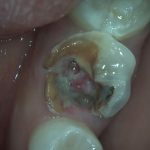 This is a severe cavity and it will probably need more serious treatment like a crown or root canal. The good news? Cavities are absolutely preventable! Brushing properly 2-3 times a day and flossing once a day will dramatically reduce your chances for developing cavities. Eating a healthy diet that avoids carbohydrates and sugars, will help you even more. Lastly to keep those cavities at bay, always be sure to schedule a bi-annual checkup and cleaning with me, or your dentist, so you can get an up-to-date evaluation of your oral health and keep a healthy smile. Follow those simple tips, and then you won’t need to be worried when you visit your dentist. Instead of saying “I hope you don’t find any cavities,” you’ll be able to tell me “You won’t find any cavities, Dr. Taj.” And hearing those words will bring a smile to my face. For more information, be sure to visit me or my staff at one of the three locations shown below, go to my website at modernfamilydentalcare.com, or watch my Dental Minute videos that deal with cavities.